The NEC E705 is a 70" LED backlit commercial-grade display that delivers a cost-effective solution. It also maintain the extensive feature set and high visual quality. 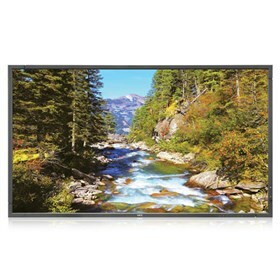 This display is an ideal solution for all boardroom, conference room and meeting room type of applications owing to its extremely large size, full external control and expanded connectivity. The E705 display has full bi-directional external control via both RS232 and LAN. The OPS slot is available for simple integration of multiple accessories such as a digital tuner, HDBaseT, or OPS-DRD media player. It also has expanded terminal interface including 2 HDMI, DisplayPort, DVI and VGA connections. The NEC E705 has many exciting features for users of all types. See the NEC E705 gallery images above for more product views. The NEC E705 is sold as a Brand New Unopened Item.